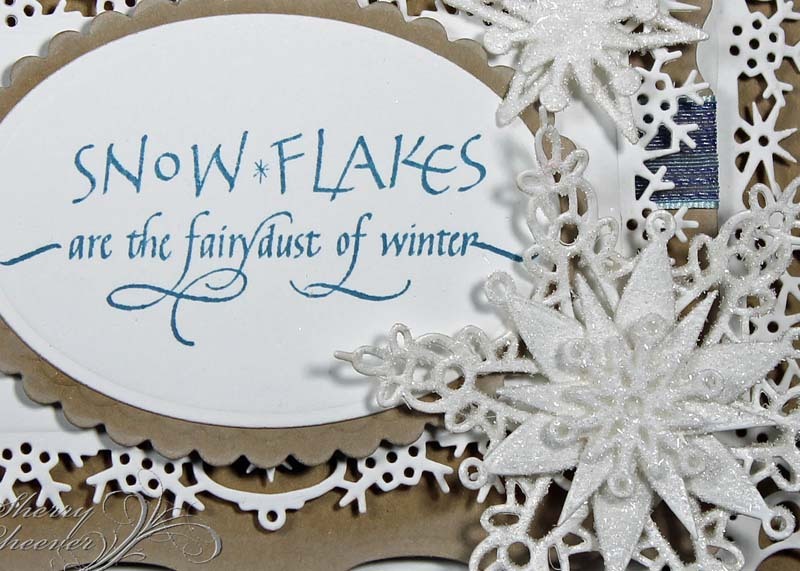 Quietfire Design's Winter Wonderland Blog Hop! Good morning! WOW I can’t believe it has been over 2 weeks since I posted last. That really was not my intention when I was here last . . . but alas I suppose life does have a way of interfering at times. Truthfully, I find I’m busier with every day life events during the holidays than with anything else. You see, when I have the grand baby here, there is no studio time and I’ve had her quite often the last few weeks. Of course, don’t get me wrong . . . I wouldn’t trade my time with her for anything . . . but I miss my craft time too! 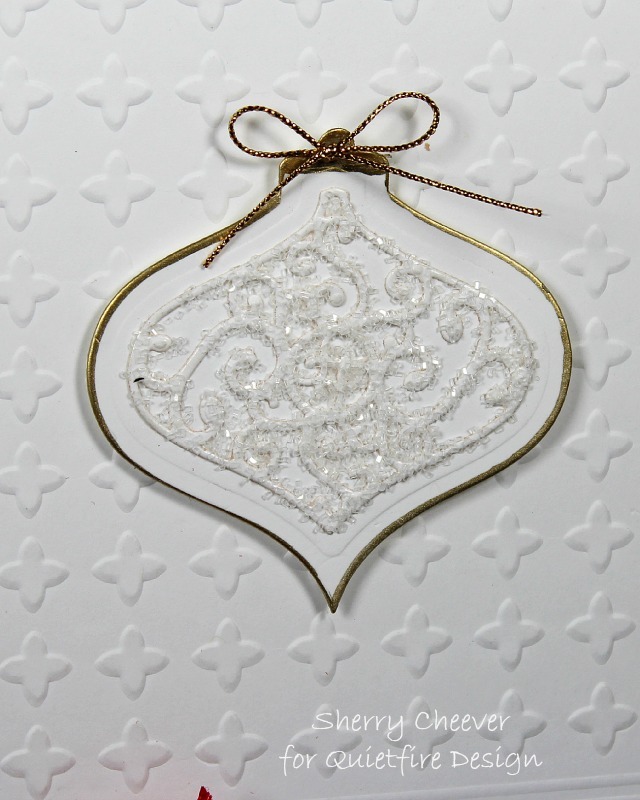 Today I have a card over on the Quietfire Creations Blog. 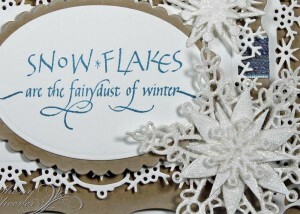 You know I love making snowflakes at this time of the year and I couldn’t let another post go by without some. I hope you’ll join me over at Quietfire! On another note, I’ve been getting in quite a bit of new product . . . some of it is going to knock your socks off and I can’t wait to be able to share with you! Good morning! Today it’s my turn to post over on the Quietfire Creations Blog. Here’s a little sneak peek of the card I’ve posted. When working on this card, I was playing with the new product Stick It! LOVE!!!! It’s a thin adhesive that works perfectly with intricate die cuts. If you’ve not seen it or heard about it, here’s a post on Ken Oliver’s blog talking all about Stick It! I used Stick It when I die cut the middle section of the ornament so that I would be able to adhere it to the ornament easy. Didn’t want to mess around with trying to glue it. After completing the card, it occurred to me to try the Stick It on the top side of the die cut. Perfection! I could add all the glitter I wanted and it stayed on the Stick It side! You are going to love this thin adhesive! Anyhoo, to get all the details and more pictures of today’s project, please visit the Quietfire Creations Blog.